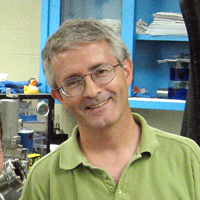 Professor McGinn's primary research interests are in the areas of the processing and properties of advanced materials. Current research programs are aimed at developing the processing tools and screening instrumentation for combinatorial materials development and discovery. The combinatorial approach to materials research employs parallel (or automated serial) processing to create large "libraries" of material compositions, followed by parallel (or automated serial) testing to characterize the compositions for a specific property of interest. Much of the potential of the combinatorial approach rests on the development of rapid means to screen libraries for a property of interest. Over the past several years we have developed and put in place a wide range of automated processing and characterization tools for combinatorial research. Pulsed laser deposition: PLD is used for deposition of complex oxides. 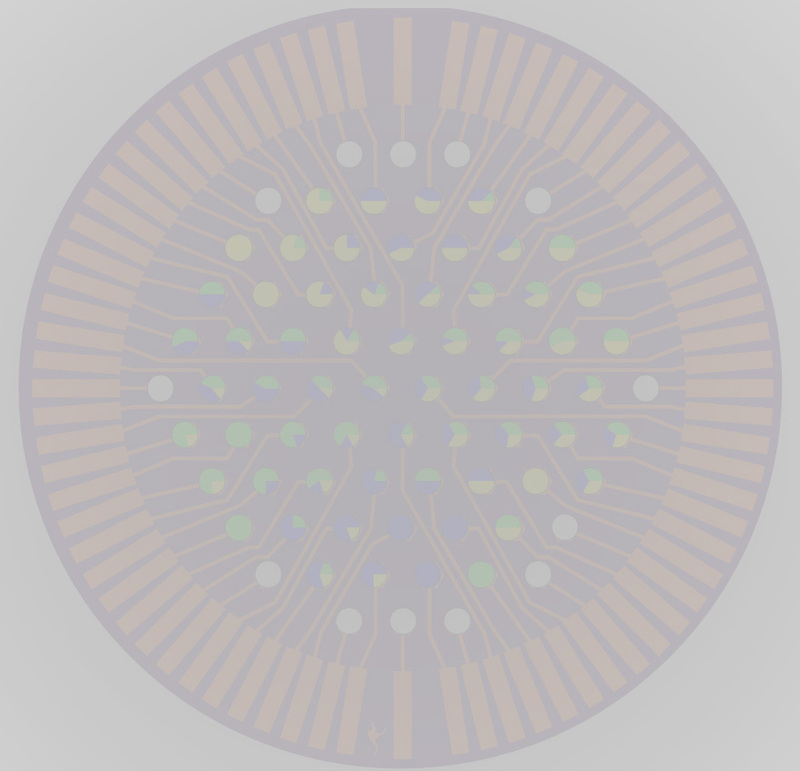 Computer controlled shutters permit formation of thickness wedges for generation of composition gradient combinatorial libraries.